Comments: This entry can include a broad spectrum of zinnias with varying flower colors and flower sizes. 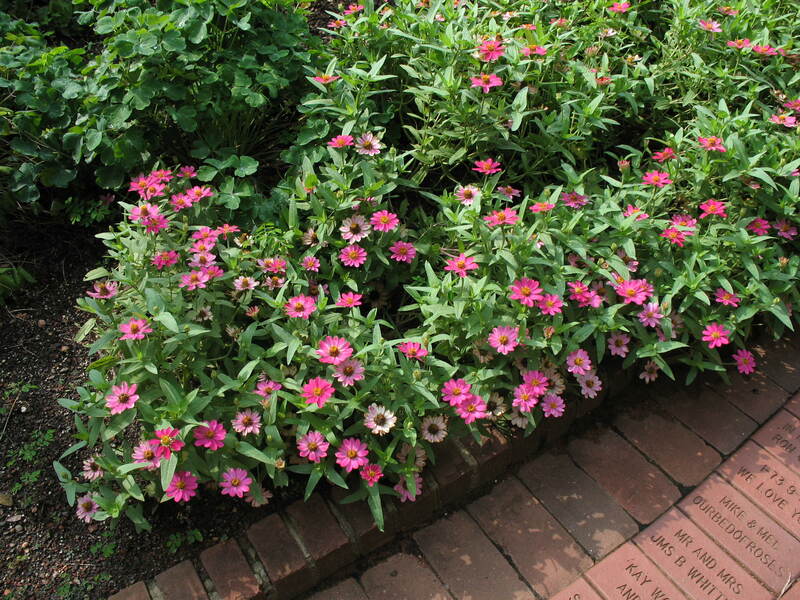 For all zinnias provide a well drained soil and full sunlight. They seem to grow best in raised beds to insure good drainage. Plant in areas where there is good air circulation because powdery mildew can be a serious disease problem. Zinnias make excellent cutflowers. Change the water often to prolong the life of cutflowers.